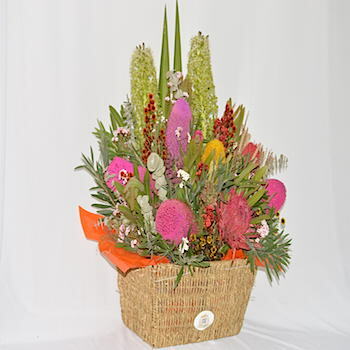 NF1 Australian Native Flower Basket Arrangement. Proteas, Banksias, Berzelia, and other Native flowers and foliages. 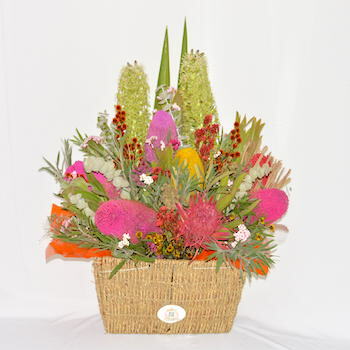 NF1 Australian Native Flower Arrangement in a basket. 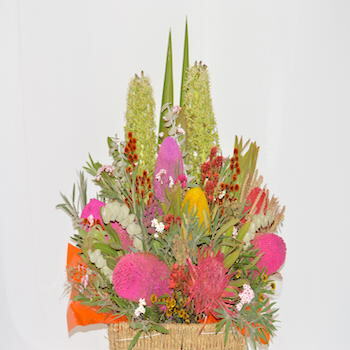 Proteas, Banksias, Berzelia, and other Native flowers and foliages.